Leo is always up for a game. A rough and tumble playful type who is a scream a minute. Never a dull moment with this one around. He is shy and quiet. Very affectionate when given the time to get used to you. Will make a super loving addition to your home. 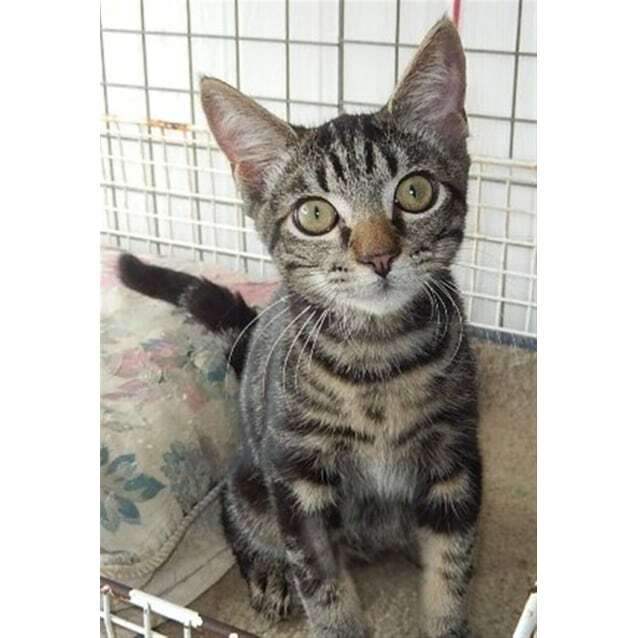 Leo is desexed, microchipped, up to date immunisation, registered with council, worm and flea treated and is fully litter trained. Please consider adopting two cats together as they prefer to have company to play and snuggle with rather than being on their own. Double the love, double the fun. If you adopt two your second cat is half price. Leo is priced at $180. Located in Gladstone, Central QLD. Dogs >6mths, once desexed can be transfered anywhere at the adopters cost. We recommend DogMovers Pet Transport. Standard fee for adult dog is $270 but is subject to change. Puppies <6mths are generally $350, they are sometimes too young to be desexed so can be transfered at adopters cost, to a town if there is an RSPCA shelter located there who is willing to accept the animal. All animals are vet checked, vaccinated, microchipped, desexed and registered with local council.